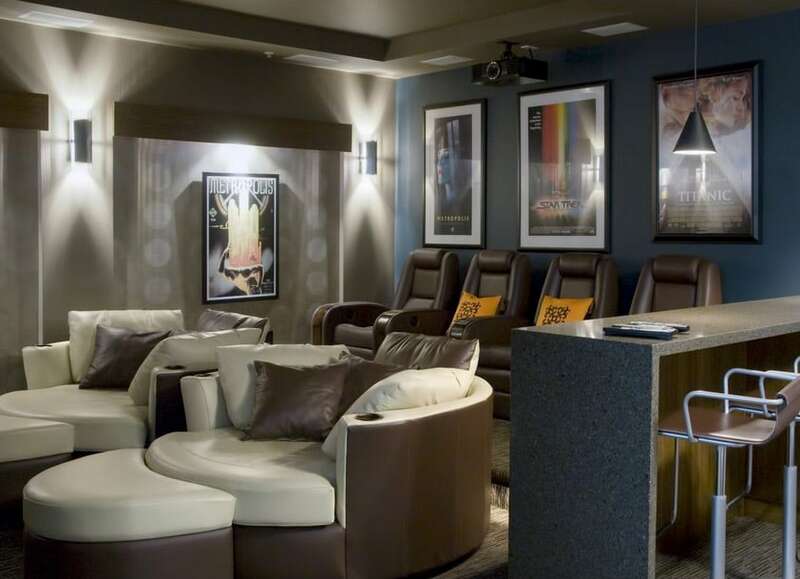 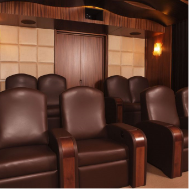 A custom home theater seating option for two. 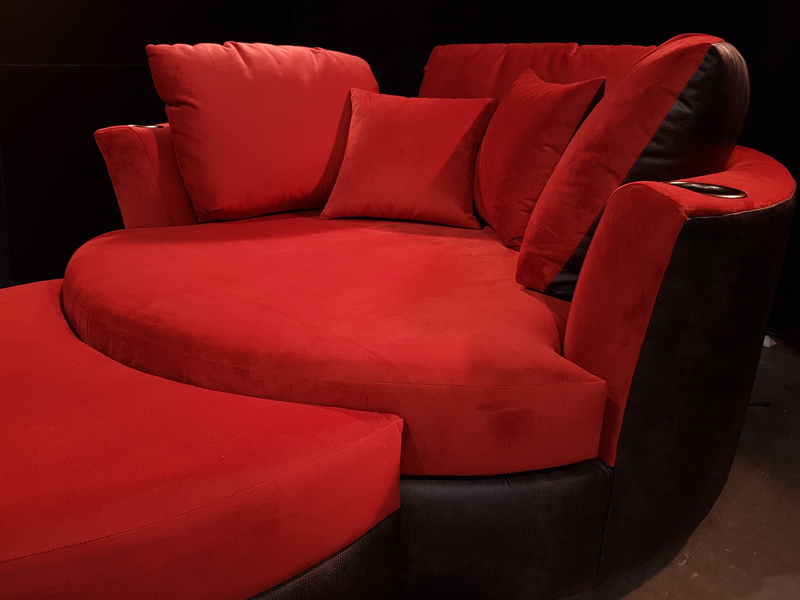 As an alternative to the traditional theater recliner, our wildly popular Cuddle Couch lets you and yours lie down, flip around and stretch out under a cozy blanket (cuddle partner not included). 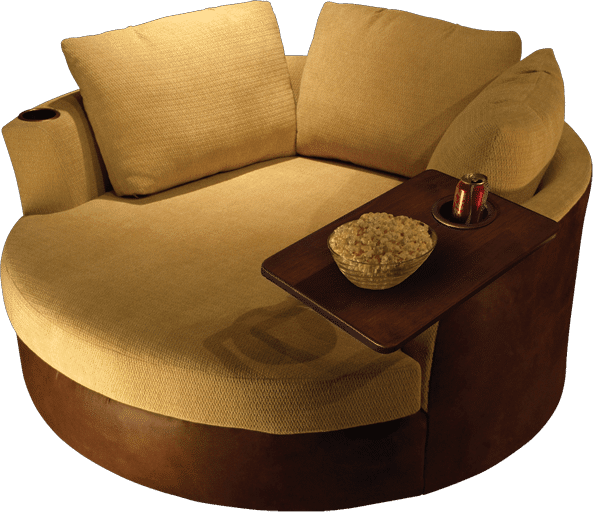 Can accommodate two adults and one small child. 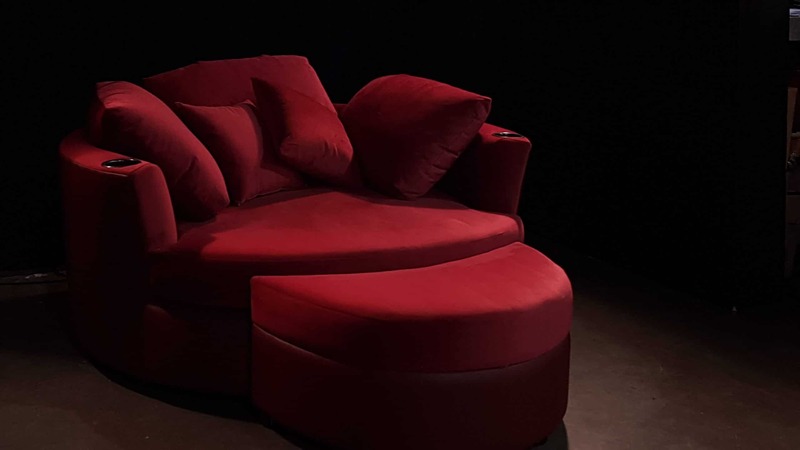 Nothing says comfort like a cinema chair you can snuggle in. 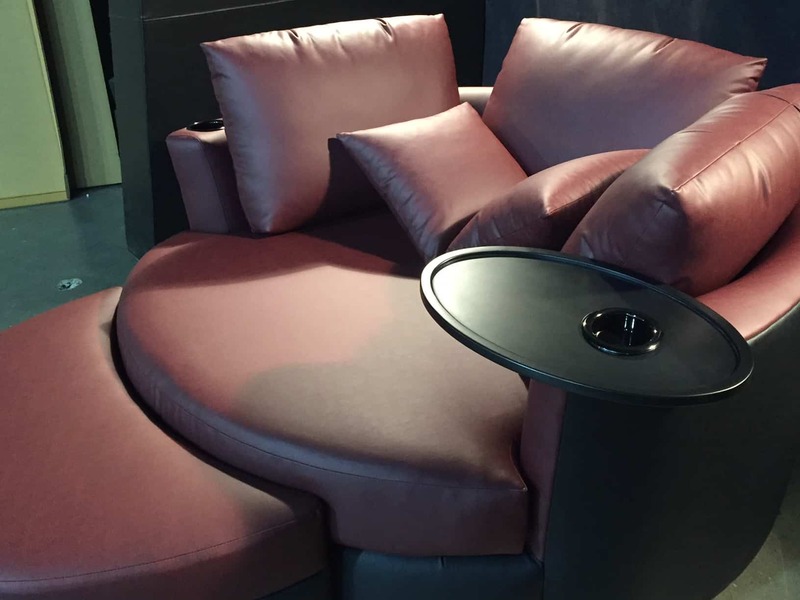 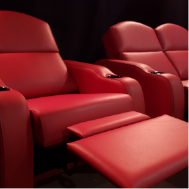 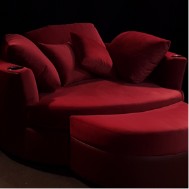 Our cuddle chair is exactly what it sounds like – a comfortable seating arrangement for two that makes it easy to snuggle up while you enjoy your favorite film. 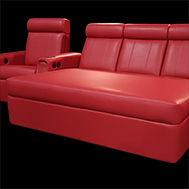 Starting at $3,995 US MSRP as shown in fabric material. 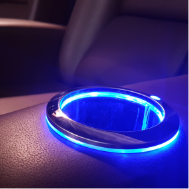 sales@elitehts.com or call 604-575-8310 for express service. 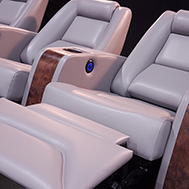 Every theater is unique and comes with its own set of challenges such as limited space, custom radius and riser heights. 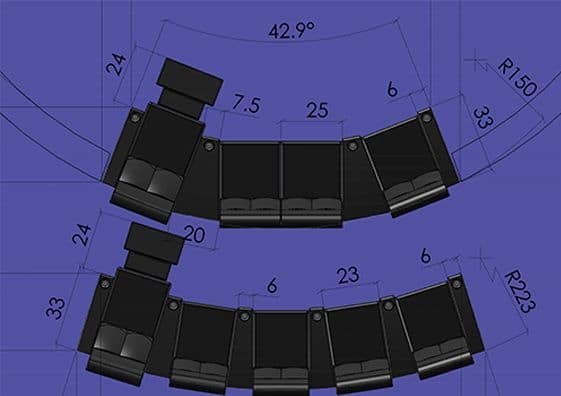 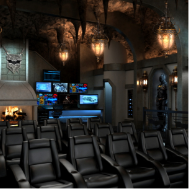 Our 3D Layout Design team helps you overcome these challenges by allowing you to envision and precisely plan your seating layout and theater so that everything fits like a glove. 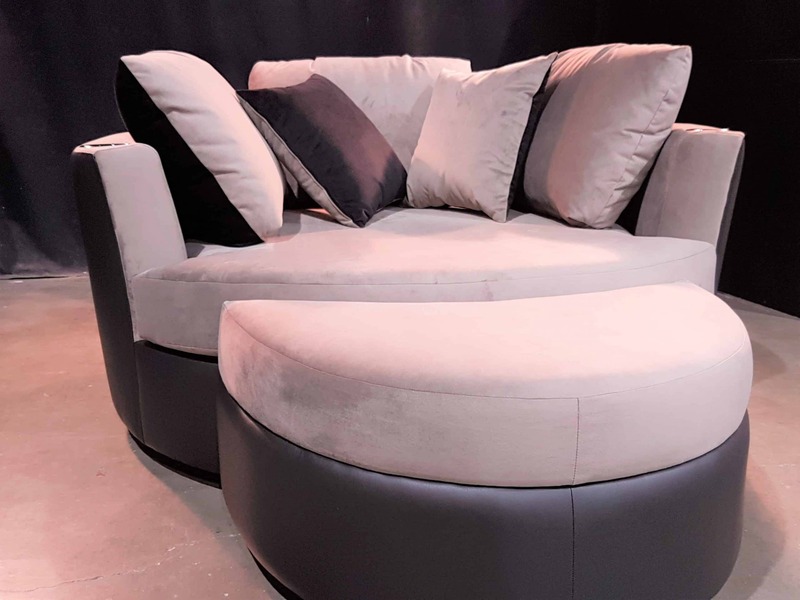 This is especially helpful during the construction phase of your home so that you can build precise risers and steps according to our recommended measurements. 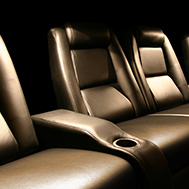 If you are an AV Integrator or Interior Designer, we offer this complimentary service as part of our Elite Pro account.